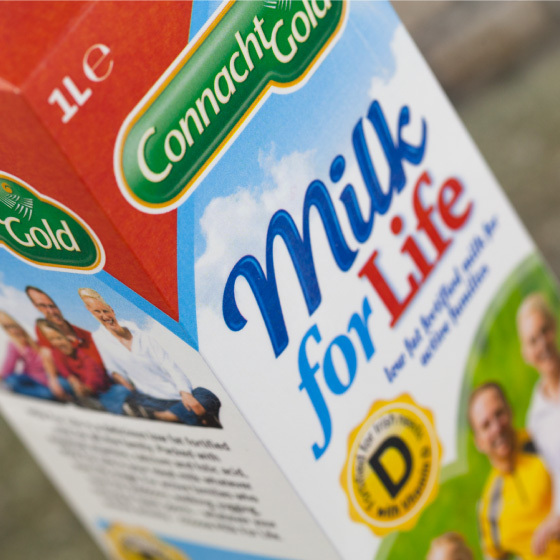 Milk for Life is Connacht Gold‘s fortified low fat milk. The product is a re-launch of their V+ brand as a result of formulation changes and a desire to reposition the marketing. The new product is fortified with Vitamin D. According to Connacht Gold, “We do not get enough exposure to sunlight in Ireland so our Connacht Gold Low Fat Fortified Milk ensures you get sufficient Vitamin D from your diet.” Our brief was to keep the new product faithful to the design template of the Connacht Gold Milks range but to strongly emphasise the product benefits. Connacht Gold were keen to target families with children aged 10–15. 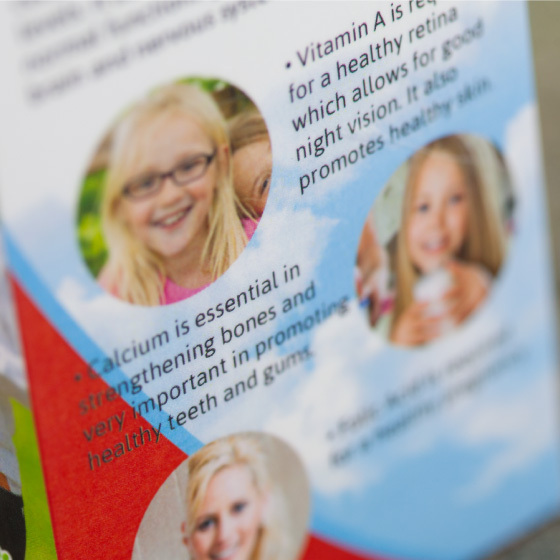 We found a family who were a perfect fit and used them on both the front and on the side panels to help illustrate the product benefits. 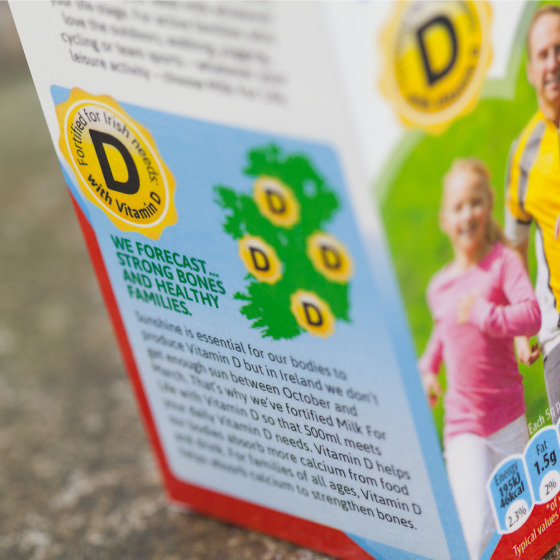 We also devised a ‘weather forecast’ concept on the side to help communicate the ‘Vitamin D and the Irish climate’ concept.